The historical record that the Old Testament Church, the Apostolic Church, and the early Christian church all sang the Psalms exclusive of any hymns of human composition. Who were the first hymnists in the post Apostolic Church? Why the Gnostics and the Arians introduced hymns into the church. The purposes of the first waves of uninspired hymnody in the Christian Church. Why the Calvinist Reformation returned to Psalmody and rejected all hymns of human composition. 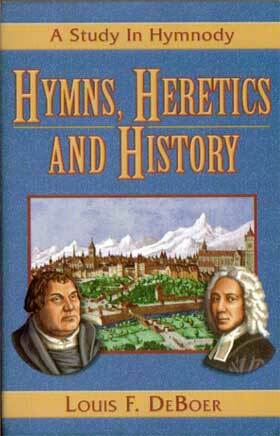 Why almost every wave of hymnody was launched by heretics with a theological axe to grind. How even the best hymnwriters such as Isaac Watts and Charles Wesley were seriously tainted with error and introduced these errors into their hymns. How feminism and hymnody have combined to corrupt the church. Why the historical record shows that hymns always displace and drive out the Psalms.